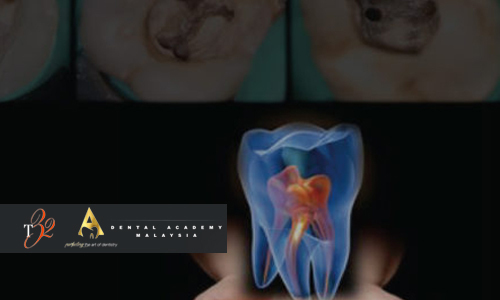 No confidence in endodontics or molar endodontics? Unable to locate the canal and unsure if there is an extra canal? Do you find it hard to understand the art and science of negotiating simple and complex root canal anatomy? Then this course is for you. This intensive and interactive course is designed for clinicians who wish to perform endodontic treatments, with predictable clinical success and without undue complications. There will be hands-on sessions and with real teeth in this course. Also, we will be discussing and demonstrating a variety of instruments and techniques via videography through the dental microscope. Find the MB2’s, cracks in teeth and most of all, take greater satisfaction in your work. Retreatment – when and how? Separated instruments – to remove or not to? 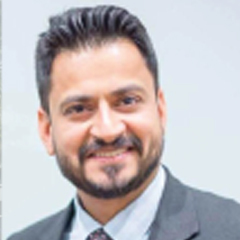 Dr Abhishek Parolia graduated from Manipal University and pursued his masters in the field of Conservative Dentistry and Endodontics at the same university. He was awarded a gold medal in Conservative Dentistry and Endodontics. He has been very active in practicing Endodontics for more than 10 years and has a vast experience of rotary endodontics and retreatment cases. Dr Abhishek has been training young dentists for more than ten years. He is also actively involved in research and received Research Incentive Award in 2010 and 2011 from Manipal University and Marquis Award (USA) in 2011. He received an award for his significant contribution as a newcomer in 2011. He was also awarded for his Invaluable contribution in leading ICDAS initiative in 2014, E-learning Innovation Award (Team category) and Best Lecturer Nomination in 2016. He was awarded the Best faculty presentation in International Association of Dental Research held in San Francisco, USA, 2017. Dr Abhishek is a member of ICDAS National Benchmark Group, Malaysia. He has published many scientific papers in national and international peer-reviewed journals and authored chapters “Diagnosis in Endodontics” in the book entitled Essentials of Endodontics, published in 2012 by Quintessence India and “Propolis and its implications in oral health” in the book entitled Beneficial Effects of Propolis on Human Health and Chronic Diseases. Volume 2, Published in 2012 by Nova Publications USA. He is also a reviewer of Archives of Oral Biology, BMC Oral Health, Indian Journal of Dental Research, Journal of Dental Education, European Journal of Dentistry and a member of editorial board of Journal of Conservative Dentistry. He is a member of FODI, Malaysian Dental Association, International Association of Dental Research and International Cariology group. He has conducted workshops and lectured locally and internationally at many countries namely India, Malaysia, Indonesia, Thailand, Dubai, Brazil, Australia and Canada.